We all have those skincare products we swear by, that we reach for year round. 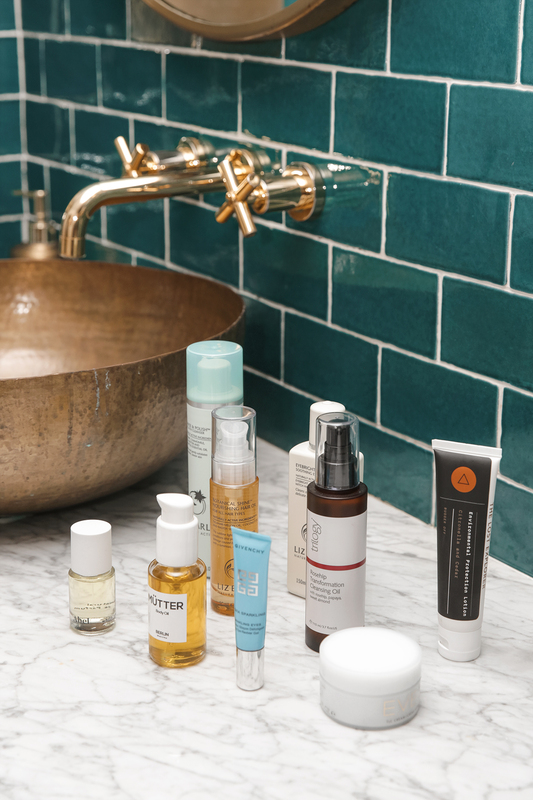 But much like our wardrobes, our skincare regime needs a seasonal refresh. So what products are worthy of a place on your top shelf? Full disclosure; I don’t always practise what I preach. I’ve used the same foundation (Dior Star if you’re interested) for almost my entire adult life. However I’m learning to accept that just because I’m loyal to certain products, doesn’t mean I shouldn’t try out a new cleanser/serum/moisturiser every now and then. And by every now and then I mean season; because we can hardly expect the same cleanser we use to remove sunscreen and makeup on vacation to be the ideal product for cold days. So what products are worthy of investing in out as the seasons change? 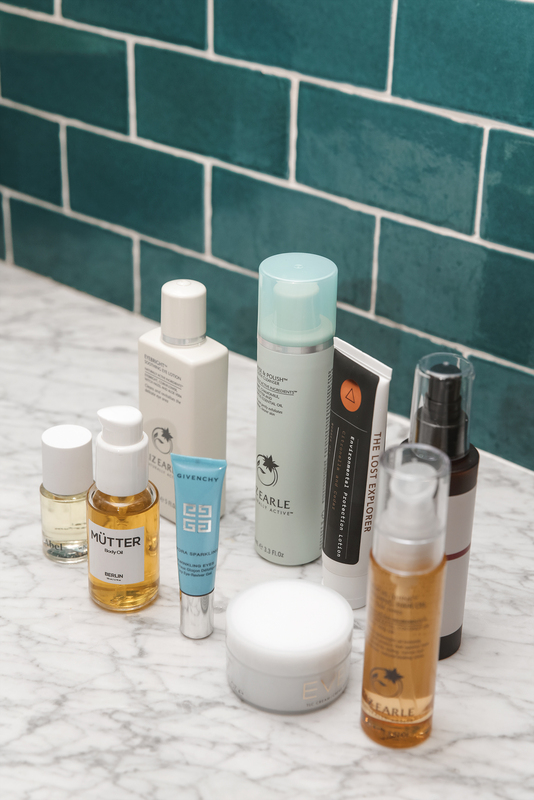 And do you really need to switch out your skincare regime for biannually to keep it looking it’s best? Truth be told much like skincare products themselves there’s no one-size-fits-all approach. But I figure A. there’s never been more science-led, results-based products (that are affordable), and B. you never know what may work wonders until you try. So why not mix it up. It’s easy to write off heavy duty moisturisers as creams that will just clog up your skin and block your pores. But the right moisturiser will nourish the skin without leading to a breakout. With a name like Eve Lom’s TLC Cream, it’s hard not to want to it out. Like the name suggests it’s perfect when your skin is in need of serious rescue, be it from too much travel, lack of sleep or stress. This is the product that will be in my carry on on every flight from here on in. Sometimes I feel we pay so much attention to the damage from the sun we forget about the effects of pollution. I’ve been using Lost Explorer’s Environmental Protection Lotion whenever I’m in London (or any other city where the pollution is impossible to ignore). Although with natural ingredients like citronella, cedarwood (which is a natural antiseptic) it’s a great barrier in non-city environments too. Of all the products I enjoying mix up frequently, cleansers are it. I’m always on the hunt for cleansers which are as satisfying as an exfoliator, but I can use every day (sadly using an exfoliating more than twice a week is a massive no no, even the super gentle ones will still strip your skin of the natural oils it actually needs). For slightly dry or sensitive skin of which I have both, I love cleansing oils. It removes dirt, makeup and grime while nourishing the skin in plant based oils. I’ve just started using Trilogy’s Rosehip Transformation Cleansing Oil and to be honest it’s maybe the most gentle cleanser I’ve ever used, yet it removes makeup like a dream. When I’m travelling I want something that is going to perform miracles (I know, I don’t ask for much right) and Liz Earle’s Cleanse and Polish Hot Cloth Cleanser is the closest thing I’ve found to the holy grail. It evens my skin tone and keeps it looking bright in a way that I usually rely on serums and masks for. Plus the cotton cloth is great for removing any makeup or city grime. 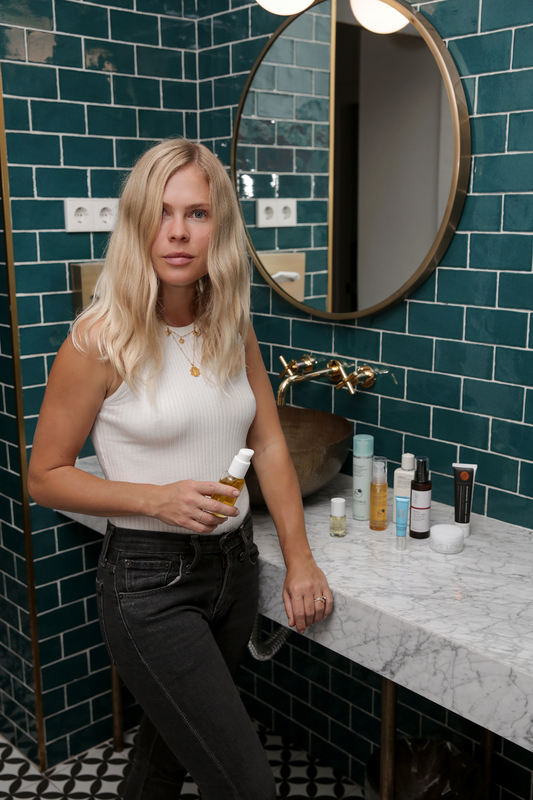 A change in season often disrupts my sleep patterns – and it’s no secret I’m eye cream obsessed thanks to my long term insomnia – so I’m often switching up my eye serums and masks in search of the illusive magical potion. If you haven’t had a great nights sleep and your face feels positively sluggish, Givenchy’s Hydra Sparkling Twinkling Eyes Icy Eye-Reviver Gel does exactly what it’s long winded name describes. Soothing, refreshing and adds a subtle illumination under the eyes to give the appearance of 8 hours sleep. Another trick of the trade is Liz Earle’s Eyebright Soothing Eye Lotion, which a lot of people use as an eye makeup remover (which it is), but I use it as an eye treatment when I first wake up. Treat it like a mask and soak the lotion into cotton wool pads and place over your eyes for 10 mins. Much more cost effective than the single use eye masks.